All hell breaks loose when Arnold Schwarzenegger battles the ultimate evil in this chilling supernatural action thriller. 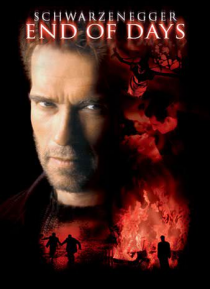 When Jericho (Schwarzenegger), a burned-out former New York City cop, is assigned to security detail for a mysterious stranger (Gabriel Byrne), he thwarts an incredible assassination attempt. During the ensuing investigation, he and his partner (Kevin Pollak) save the life of t… he beautiful and terrified Christine York (Robin Tunney), whose destiny involves death, the devil and the fate of mankind. Now it's up to Jericho to save the girl, the world and his own soul as he comes face to face with his most powerful enemy ever!